And last but not least, if you have a Custom Packaging/Box store in town – omgosh, I’m thrilled to have just found a fab new source for the highest quality cardboard at my local box store. I went in there to buy some mailing boxes for my paintings, and we started talking cardboard (it’s one of those happy topics for me, silly I know) and he showed me his “scrap” pieces which were huge and gorgeous. He called them 275 grade or something like that. So they are white on one side, typical brown on back and oh my, we are talking not even bowing a bit. STURDY. So I’ve discovered the Rolls Royce of cardboards. What a hoot, eh? 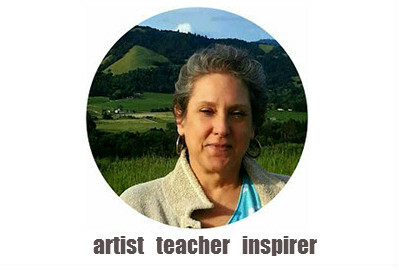 I purchased a piece about 65 inches tall and 16 inches wide. And cut down 3 beautiful 16 x 20s. 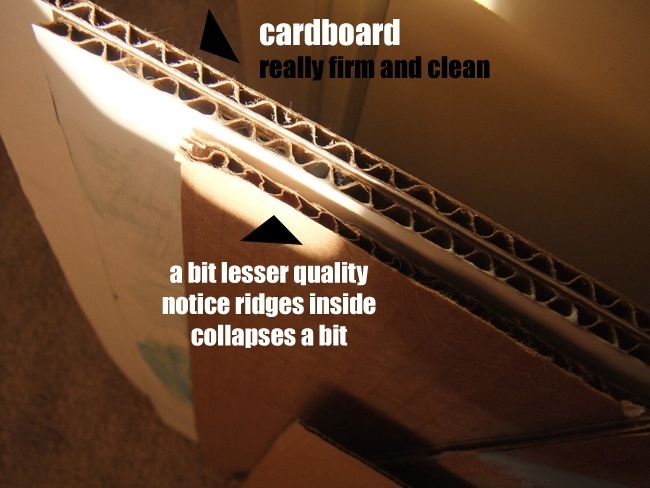 the cardboard from dollar stores and the like are generally very poor quality. don't bother prepping them archivally. use cardboard used for heavy objects, such as wine and furniture. or better yet get some at a custom packaging supply center. just be sure you know what you are painting on, not all cardboard is created equal. Is that pressed board type of cardboard any good for painting on? 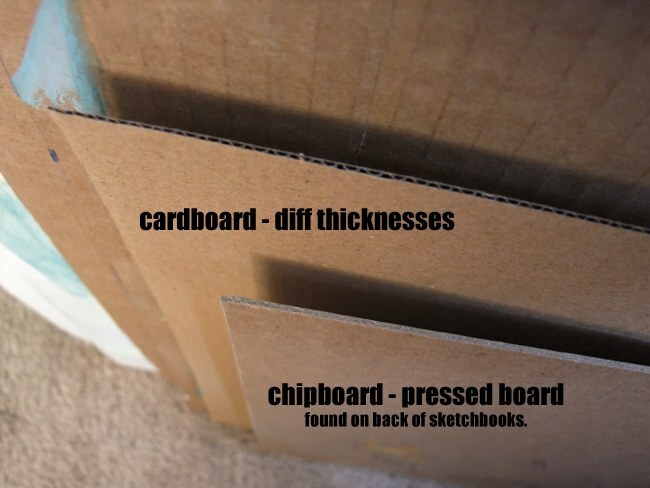 the pressed stuff, here in the U.S. is called chipboard. I have painted successfully on the thicker chipboard. it will need to be treated (matte medium) on both sides so it won't bend when you add paint to it. but yes, why not, very affordable and as long as you seal it well all around, a great surface in my opinion. especially for studies!